Fehmid­a Mirza and Ashraf to contin­ue holdin­g their office­s, till succes­sors not appoin­ted. ISLAMABAD: As Premier Raja Pervez Ashraf and chief ministers of four provinces agreed to hold elections of the national and provincial assemblies on the same day, the Ministry of Parliamentary Affairs issued the notification to dissolve the 13th National Assembly on Saturday night, officials said. It is the first time in Pakistan’s 66 years history that the National Assembly has completed its five-year tenure. The five years from 2008 to 2013 witnessed the repeated confrontation between the treasury and ruling benches but ultimately, the democracy succeeded. Speaker National Assembly Dr Fehmida Mirza, however, will continue to hold her office until the 14th National Assembly elects the new custodian of the lower house of Parliament. Prime Minister Raja Pervez Ashraf will also continue to hold his office until the caretaker prime minister takes charge. As the 342-member National Assembly stood dissolved on March 16 (12 am), federal cabinet ministers would also lose their ministerial portfolios. The Cabinet Division issued a separate notification in this regard. 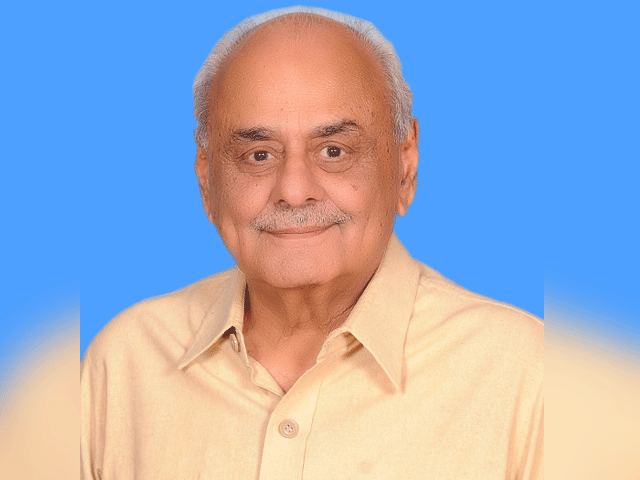 Pakistan has been witnessing dissolution of several governments which could not complete their terms on various pretexts as the president in the past had the powers to dissolve the National Assembly. However, the outgoing democratic government convinced President Asif Ali Zardari to transfer the powers to Prime Minister through an amendment in the constitution. According to the constitution, federal elections would have to be held within 90 days of the dissolution of the National Assembly. Addressing the nation on Saturday night, Prime Minister Raja Pervez Ashraf claimed that the PPP government had stabilized the Pakistani economy and strengthened democracy. “Because of our policies, today Pakistani exports stand at $25billion,” he said, further adding that the $13bilion worth of remittances that the country received from overseas last year was a proof of the confidence that overseas Pakistanis had in the country’s economy. Talking about Balochistan, PM Ashraf said that President Zardari had personally taken interest in the issues of the province and had invited Baloch leaders for talks as he and the government believed in implementing a policy based on reconciliation. The prime minister further said that his government worked to improve relations with neighbouring India and Afghanistan. “We have extended hands of friendship to India and Afghanistan, so that regional peace could be maintained,” he said. First ever NA to do so in history of the country. Petitioner claims that the oath, pledged by candidates contesting national assembly or senate seats, is un-islamic. Prime Minister Raja Pervaiz Ashraf to address the nation tonight. A truly historic day, the magnitude of which will not be understood by most who chant for an elected government to be overthrown by unelected uniformed ‘savers’. I agree this government has done a worse than possible job of running the country. BUT this is exactly the way people will realize the importance of their vote and will choose to vote better leaders. Democracy does just work instantly. A system of institutions that supports democracy is built over the years as is the realization of the masses that their destiny is in their own hands. Lets stick with democracy and we will see a much brighter Pakistan in the coming decade or two. 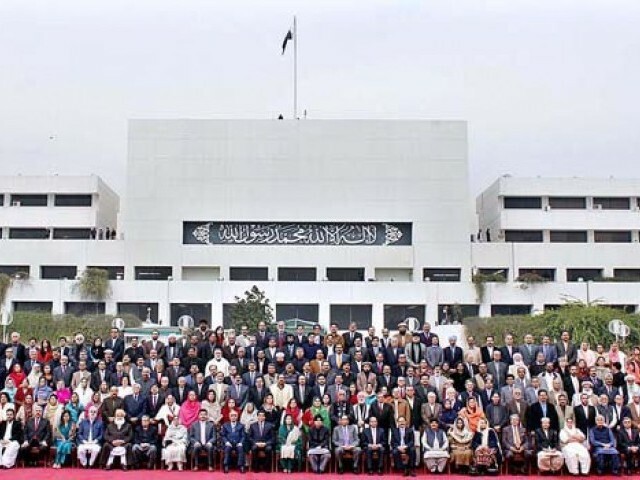 After dissolution of National Assembly, neither the Prime Minister will remain Prime Minister, nor the Speaker of the National Assembly will remain Speaker of the National Assembly when it is already dissolved. It is the height of political tug of war that neither the Government, nor the opposition were able to appoint the Care-Taker Prime Minister who would have then selected members of his Federal Cabinet. Similarly, the consensus should have also reached to appoint the Care-Taker Chief Ministers who would have also selected members of their respective Provincisl Cabinets. Technically, it is not correct that once the National Assembly is dissolved, the outgoing PM and outgoing Speaker of the National Assembly shall remain in power. In this particular case, Pakistan is not more than a laughter among the developed and developing nations. I can’t believe I am saying this but I feel a little proud of them! Alhamdo Lillah. Nation was suffering from this assembly since last 5 years. Here’s to hoping that next govt. won’t be as incompetent as the last one. The looters are gone, long live Pakistan. Lets not forget that the opposition was also in power (Punjab Government) ! So to blame one party for all the ills is a mistake. Today is the real independence day for Pakistan and a very sad day for Army and Supreme Court. The credit goes to President Asif Ali Zardari for for always outmaneuvering their every move, especially their last move of sending in Dr. Tahir Qadri. Credit should also go to Taliban whose persistent, brutal and successful attacks on military installation kept the army on the defensive. Thank God…. thief’s are gone….may we never see them again…AMeen! Congratulation, assembly of the feudals, by the feudals, for the feudals has completed 5 years. I am surprised at the attitude of the government treating 5 years as a ‘success’. THen again, maybe not. I mean it was a success for them, their children, and their bank accounts.